​Still mourning the loss of Lucas Nelson, the boy she loved in secret for years, seventeen-year-old Emmy Martin turns to her passion for mountain biking to try to fill the empty void in her life. But just when things start looking up, Emmy discovers her mom has been diagnosed with early-onset Alzheimer’s. Confused and angry that her parents didn’t tell her sooner, she throws herself into mountain biking like never before. 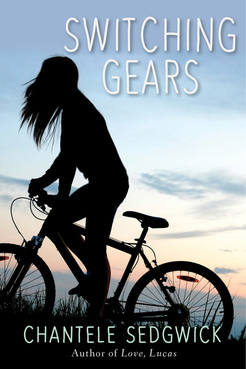 When Cole Evans, the rich boy who usually doesn’t care about anything but himself, offers to train her for the biggest mountain biking race of the season, she accepts, determined to beat her nemesis, Whitney, and prove she’s good enough for a sponsor. The more time she spends with Cole, the more she realizes he’s different than she’d expected, and, to her surprise, she’s falling for him. Torn between the deep feelings she still has for Lucas and her growing ones for Cole, she knows she must choose a path: one offers her the chance to love again, while the other is blocked by the overwhelming heartache for the boy she lost. As she drifts further away from her family and closer to her dream of being sponsored, a terrible accident threatens any semblance of peace and happiness she has left. Instead of closing herself off to the people she loves, Emmy must learn to rely on those she has pushed away if she’s going to have any chance of getting her life back again.